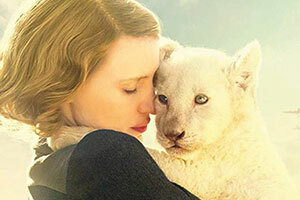 The Zoo Keeper’s Wife | Wednesday, April 24th | 1 p.m. | FREE! VIP America Home Health Care presents FREE monthly movies at the Kane Center. The time is 1939 and the place is Poland, homeland of Antonina Zabinski (Jessica Chastain) and her husband, Dr. Jan Zabinski (Johan Heldenbergh). The Warsaw Zoo flourishes under Jan’s stewardship and Antonina’s care. When their country is invaded by the Nazis, Jan and Antonina are forced to report to the Reich’s newly appointed chief zoologist, Lutz Heck. The Zabinskis covertly begin working with the Resistance and put into action plans to save the lives of hundreds from what has become the Warsaw Ghetto. Complimentary popcorn and drink.